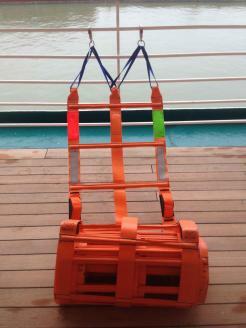 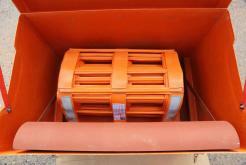 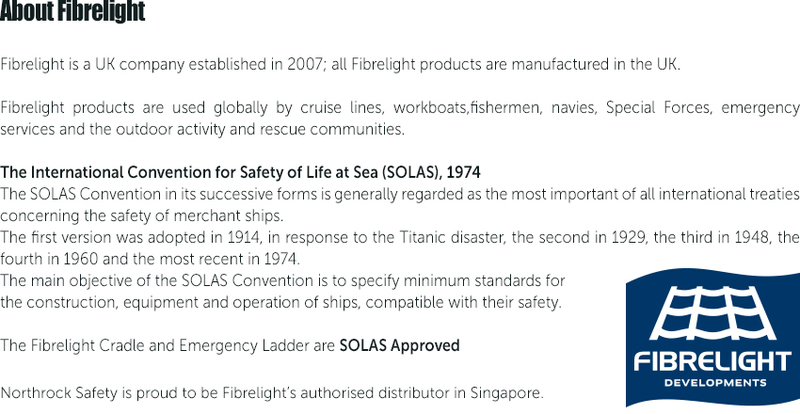 THE FIBRELIGHT EMERGENCY LADDER IS A SOLAS APPROVED ‘MEANS OF EMBARKATION’ AND LIFE SAVING DEVICE. 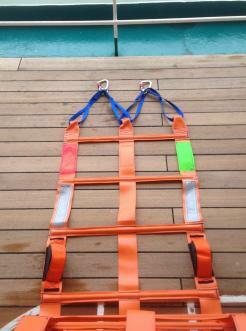 THE LADDER HAS BEEN ACCEPTED BY THE UK MARITIME COASTAL AUTHORITY (MCA) TO BE USED ON ALL VESSEL TYPES. 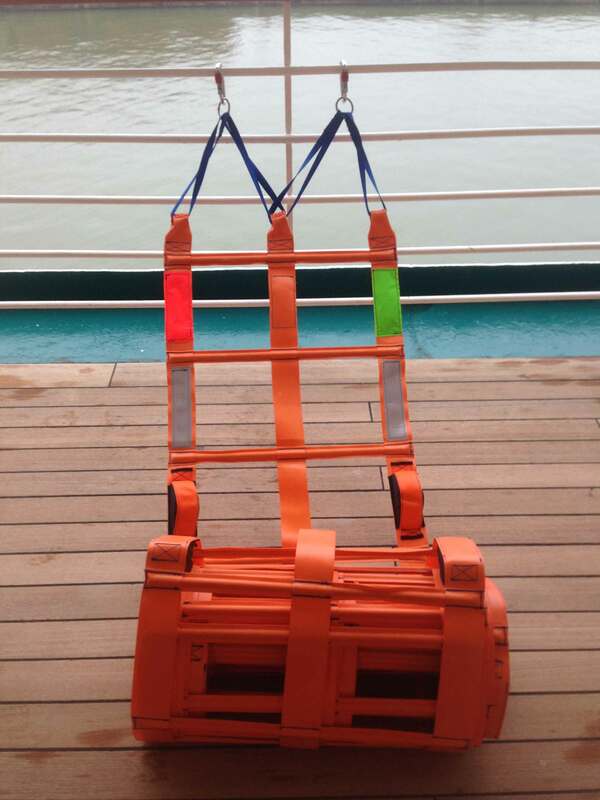 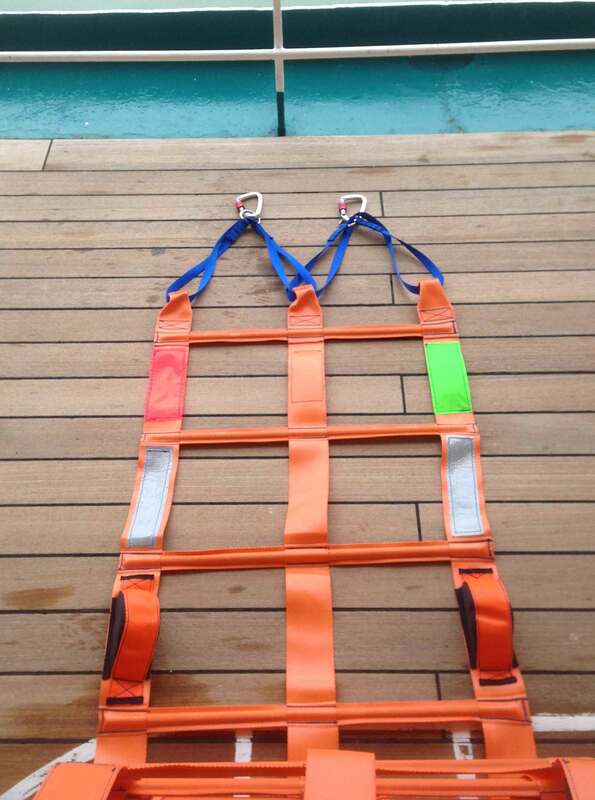 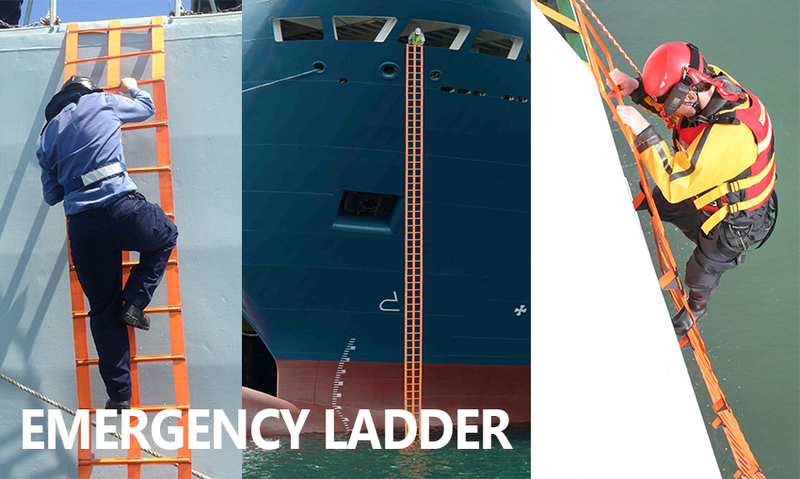 The Fibrelight Emergency Ladder is a strong durable device used globally on cruise liners, merchant ships, offshore support vessels, naval ships and super yachts. 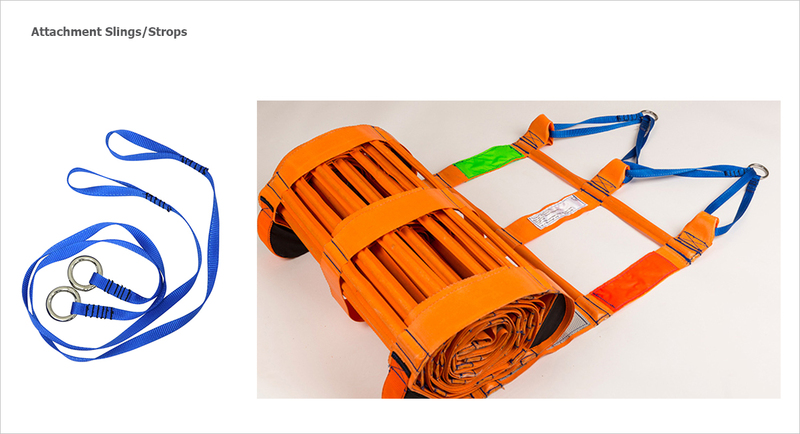 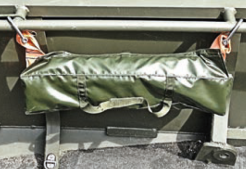 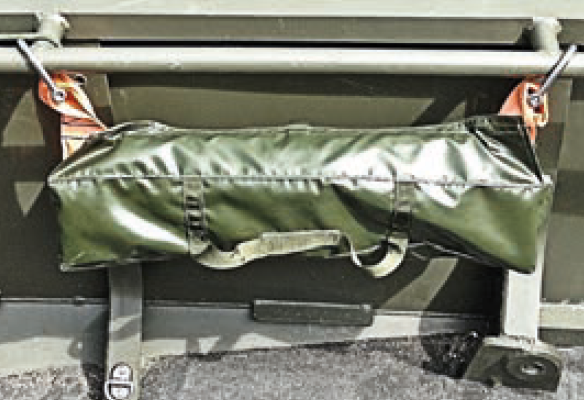 It has been designed for use by a single person: it can be deployed in less than a minute as it is both lightweight and easy to use. 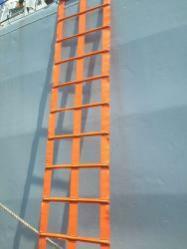 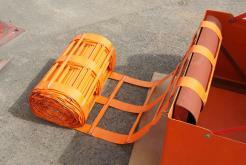 The ladder is a standard width of 600mm and is produced in lengths of 2 – 30metres. 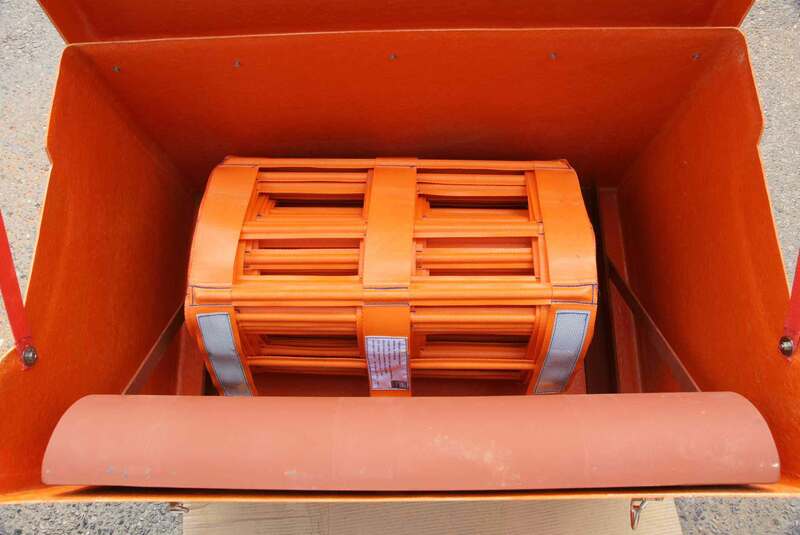 The ladder contains no metal or mechanical moving parts and as such requires no maintenance other than visual inspections. 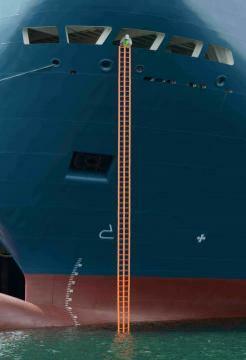 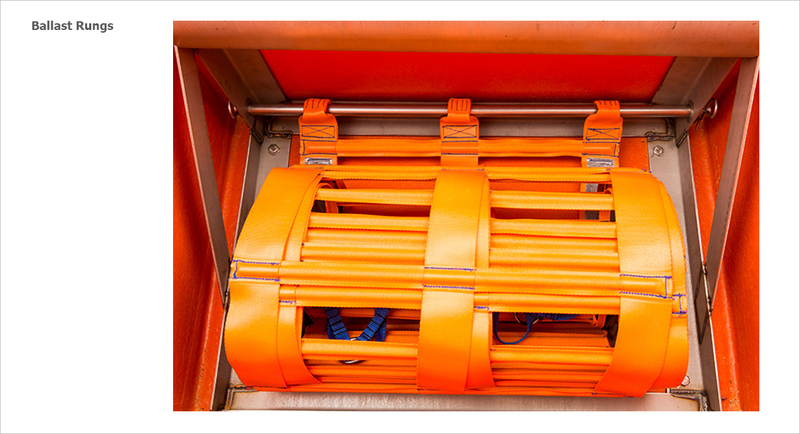 A 30-metre ladder weighs less than 30 kilograms. With a natural step action the double rung ladder is faster to climb, easier to use and safer to descend than single rung ladders and other competitor products. 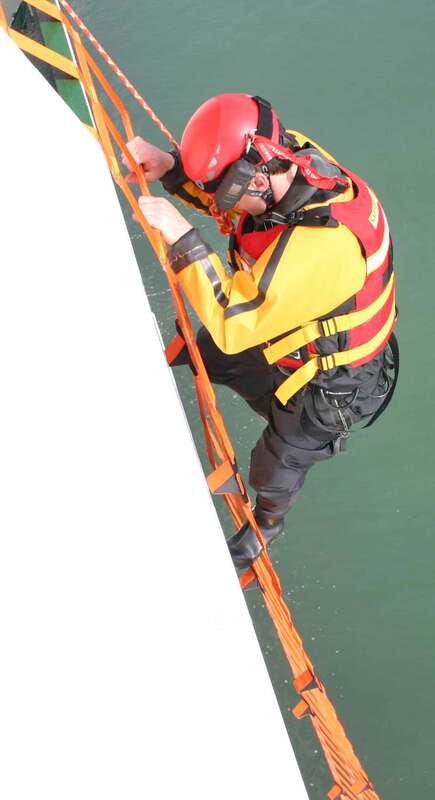 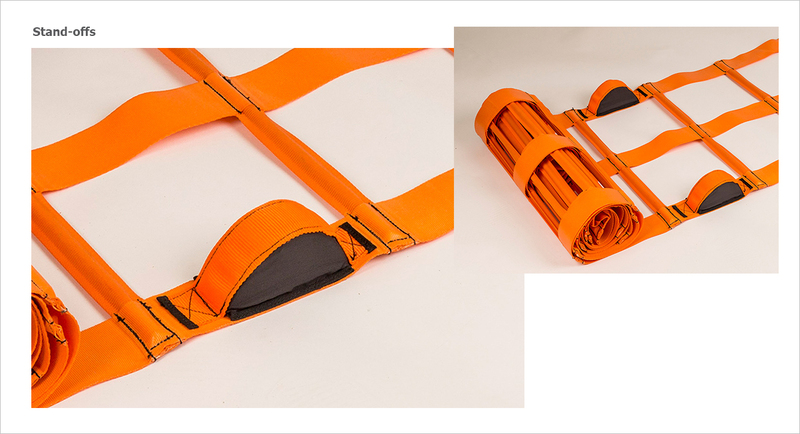 The Fibrelight Emergency Ladders are constructed using carbon fibre rods enclosed in flanged tubular webbing which together create an incredibly strong structure. 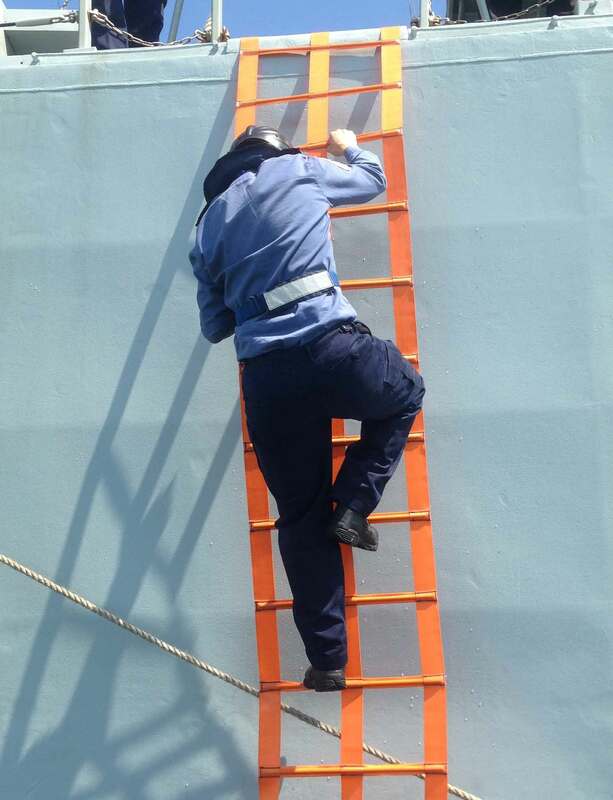 The ladders exceed the ISO 799 strength test, part of the SOLAS approval programme, which requires successive rungs to be loaded to over 900kgs and sustained for one minute without failure. 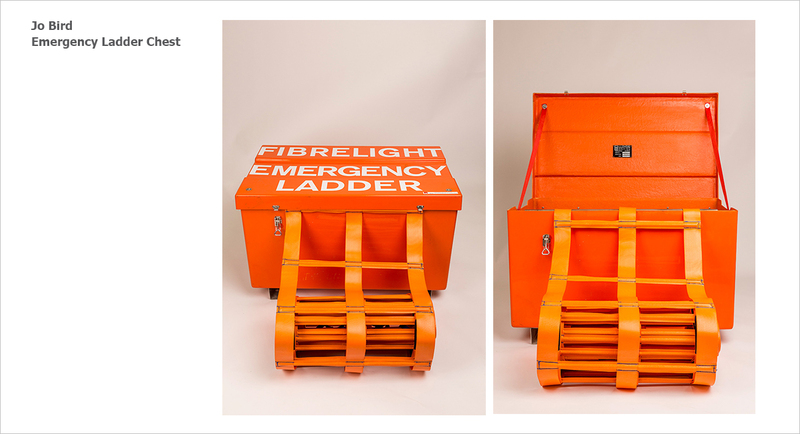 The Fibrelight Emergency Ladder has been successfully tested for thermal ageing, weathering, UV light and oil resistance. 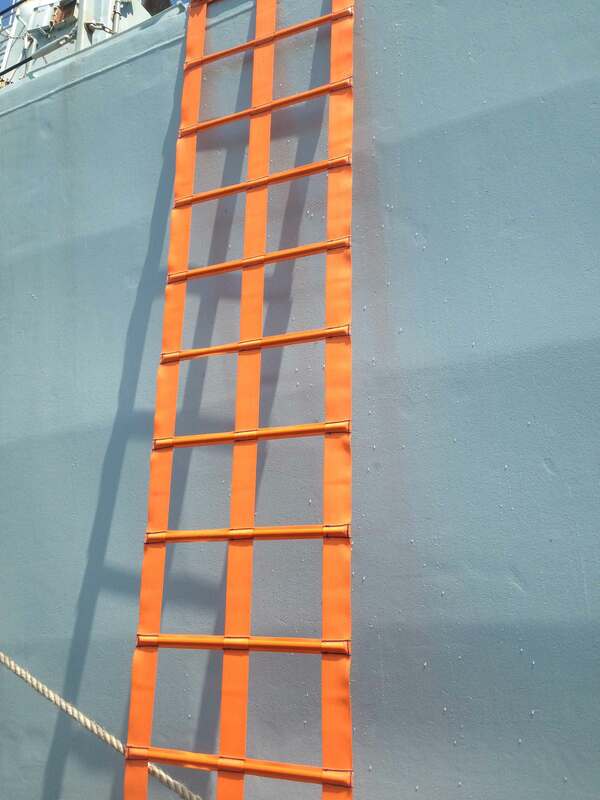 *The recommended length for a Fibrelight Emergency Ladder is the Freeboard height of the vessel plus 20% to allow for listing. 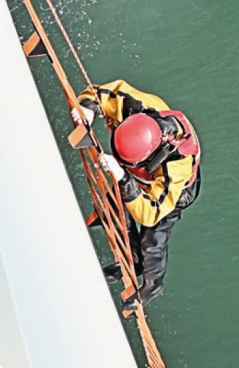 SOLAS Chapter III, 31.1.4 & MSC.1/Circ. 1243 requires that all cargo ships with more than 100m from stem or stern to the closest survival craft is required to carry remote life rafts and a means of disembarkation enabling descent to the water in a controlled manner. 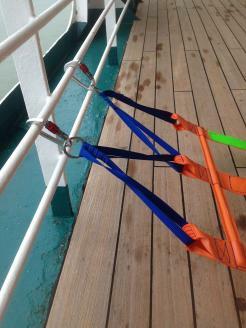 The use of a knotted rope is no longer approved.